That’s the parent-teacher conference tip a high school sophomore whispered to me years ago, as she and her mother departed from their conference with a history teacher, and I rushed in to take their place at the table. I had waited in line for an hour for my turn to speak with this teacher, in a line which snaked around the room with other impatient parents, most of them accompanied by their yawning students. I’d met with each of my daughter’s five other teachers in the amount of time I’d been awaiting an audience with her history teacher. I was eager to finish. I’d left my daughter at home to care for her younger siblings, and had promised her duty-free time to review for a math test the following day. Nobody wants a history teacher who isn’t a good storyteller, but this particular teacher was affable to the extreme. I was ready to add him to my Christmas card list the first time I met him. He was especially chatty about his favorite subject, the U.S. Coast Guard. 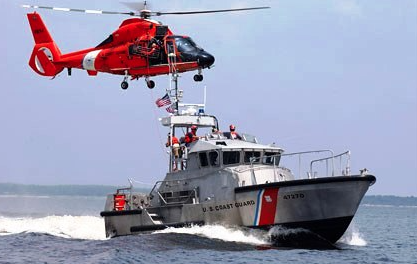 My daughter had briefed me that some classmates would often try to lure him into Coast Guard tangents, their egos elated if he would take the bait. As I left the high school that night, I stopped at a table with a tray of cookies, where parents were asked to fill out a paper-and-pencil survey about their experience at parent-teacher conferences. I’ve often imagined the bewildered school secretary, tasked with processing data from those forms, wondering how to interpret and tabulate that perplexing response. As for the hurried me, I grabbed a cookie and survey and headed for my car. The cookie was consumed on the drive home. I intended to complete my survey from home and return it to school – really, I did. But in reality, I discovered the survey under a floor mat when I cleaned out my car the following spring. Feedback from customers and stakeholders is valuable information because it reveals perceptions, defines your current reality, and identifies potential issues. School leaders can use the data collected to target communications and improve procedures. Surveys can be used to take a pulse on building-specific issues, like “How did parent-teacher conferences go?” They’re also handy for capturing impressions of advisory committees, employee groups, and booster organizations. Surveys are especially valuable for gathering intelligence on district-wide concerns, such as attitudes about impending capital improvement projects or identifying the least controversial areas for budget cuts. If results of a survey will be used for strategic planning that requires community investment, it’s best to hire an independent researcher to conduct a scientific study. This type of research is crafted to balance demographics of respondents and prevent bias. But school leaders can effectively survey targeted audiences themselves by following a few pointers, and using some great free or low-cost online tools that were not yet available when my daughter was in high school. Define and rank objectives. What must you know? What would be useful to know? What would be nice to know? Keep it concise. The shorter the survey, the higher the response rate. Use clear language that’s positive in tone. Vary question types. Multiple-choice questions should have an “other” option because all options could never be listed. Use ordinal questions that require a ranking of options to reveal priorities. Ratio questions get at “how often?” or “how much?” Questions requiring respondents to scale levels of agreement or satisfaction work only if the intervals are approximately equal. Ask open-ended questions if you’re gathering opinions or stories. Test-drive your survey with six or more people and study their responses. Are you asking any questions that are too difficult, confusing, or not getting at what you need to know? Nix any questions if the answer is obvious. Make it easy for people to respond. Publicize the survey with a due date. The larger the scope of the survey, the longer you’ll have to keep the survey open. One week is enough for a limited survey, but allow one month for a statewide survey. Offering an incentive (like a cookie) improves response rate. However, offering something too valuable could bias the survey if people take the survey only to obtain the incentive. SurveyMonkey — Here’s an online tool with which almost everybody is familiar. You can do surveys with up to 10 questions and 100 responses for free. Google Forms — Fully functional and you can do as many surveys and responses as necessary absolutely free. QuestionPro — Easy to use and free, unless you need advanced features. SurveyGizmo — An advanced tool that’s still pretty easy to use. Zoomerang — Now part of SurveyMonkey. LimeSurvey — Open source program that requires technical skills to implement. FluidSurveys — Intuitive online survey tool with excellent analytics. SoGoSurvey — It’s not free, but it is feature rich. It will chart and graph results. Constant Contact — An excellent, low-cost tool. A cookie-laden table at parent-teacher conferences is a good way to distribute a survey about parent-teacher conferences, but offering multiple ways to respond is better. Post surveys on your school’s website and include the link to it in newsletters and social media posts. Improve response rates by optimizing the survey to display correctly on mobile devices. You may be surprised how much feedback you’ll get from parents on smartphones while they‘re stopped at traffic lights on their drive home from your event.